Today, one of the fastest growing information technology sector is healthcare. However, past experiences have revealed that the installation of healthcare information technology is often accompanied with flaws which can cause harm to the patients’ lives and health. In order to tackle this risks by analysing these systems we suggest the human–computer interaction theory Activity Theory. This work highlights the benefits of Activity Theory by comparing it with four other theories: Actor-Network Theory, Structuration Theory, Distributed Cognition, and Situated Action. 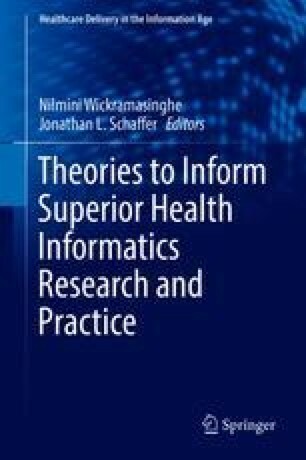 The result of this qualitative literature review underpins the usefulness of Activity Theory for examining complex technological systems in healthcare. Gehman, J. (2008). Structuration theory summary. Retrieved April 01, 2016, from http://www.joelgehman.com/resources/Giddens1984StructurationTheorySummary.pdf. Accessed on April 1, 2016.